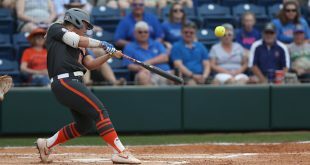 The sixth ranked Florida softball team improves its record to 26-6 on the year after a 10-2 victory over the Mercer Bears on Saturday in Gainesville. 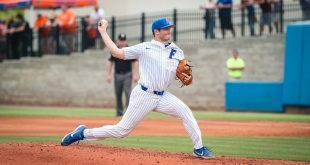 Florida was able to get the bats going Saturday after a few sluggish offensive performances scoring all 10 of their runs over a three inning span. Jordan Roberts got things going with a solo homer out to left field in the second inning while Kendyl Lindaman could not be stopped at the plate. She was 2 for 3 with two home runs while tying her career high with six RBI’s on the day. 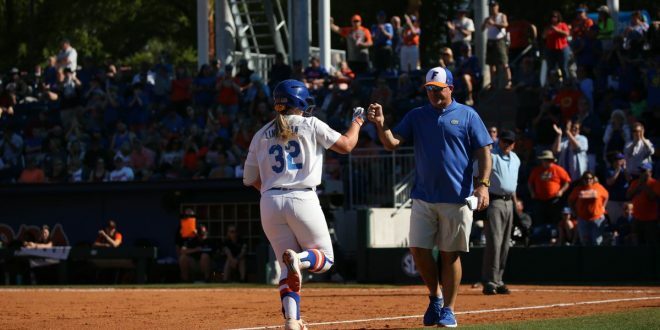 Jaimie Hoover was also impressive for Florida joining Lindaman as the only Gator with a multi-hit game on the day and she drove in two runs as well. Kelly Barnhill got the starting nod for the Gators in the circle and, as per usual, she delivered. 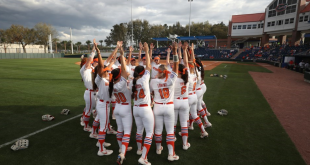 Barnhill sat down nine out of the 10 batters she faced, striking out seven in just three innings of work as she improved her record to 17-3 on the season. 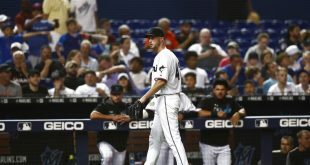 Gator coach Tim Walton’s bullpen was strong to close out the day. Natalie Lugo struck out the side in her lone inning of work. Danni Farley and Katie Chronister were responsible for finishing the day as Mercer didn’t get on the board until the final inning. The Gators finish off their two game series against the Bears Sunday afternoon at 1 p.m. in Katie Seashole Pressly Stadium.